If you are an Ice Age fan who is always ready for an exciting cave and trail adventure, never miss the Ingleborough Cave at any cost. 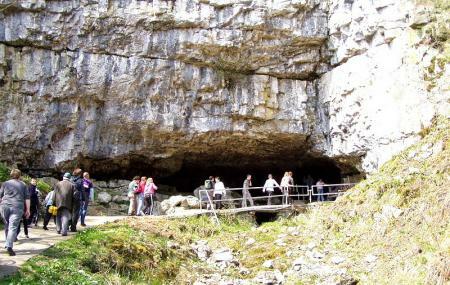 Located at Clapham, it is one of the oldest and premier show cave in the Yorkshire Dales. You will simply stay throttled at the intricate cave formations and the wide cave entrance with floodlit and concrete paths. The exotic artefacts and fossils date back right to the Ice Ages. You will first take a walk from Clapham Village to the Cave through the spectacular woodland landscape of Himalayan plantings, spacious gravel track and rare species of trees. An expert will guide you all the way to interpret the distinct features of the wondrous cave. Use Austwick trip planner to visit Ingleborough Cave and many others to your visit. Your worry of where to stay in Austwick is sufficed by bunch of interesting and comfortable lodging options in the Austwick like Yha Malham, Ingleton Hostel Yha and The Buck. If you want to add the visit to Ingleborough Cave in your trip, you can choose from the variety of Austwick vacation packages that can be designed to suit your preferences. These packages also cover your major concern of how to reach Austwick. Love this? Explore the entire list of places to visit in Austwick before you plan your trip. Fancy a good night's sleep after a tiring day? Check out where to stay in Austwick and book an accommodation of your choice. Great cave , great tour guide , very informative , friendly, good atmosphere. You can even get a hot drink before you go in . Highly recommended if your in the area . Excellent. Loved the formations, friendly staff. Little gift/coffee shop and toilet facilities. Half hour walk through a peaceful nature trail. Toll of a £1 to walk the trail and £9 for the cave.